Joel Smith was born in Draper, Utah, on September 10, 1929. He lived in Provo most of his young life, with trips to Logandale, Nevada, where he spent several years with his grandparents. 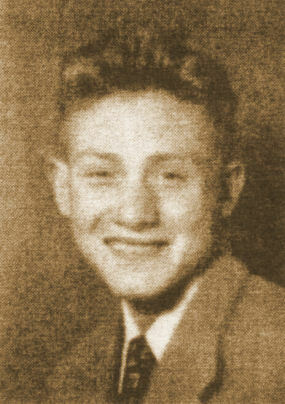 He graduated from Brigham Young High School in 1947, and then earned a B.S. Degree from BYU with an Art Major. He worked at a number of jobs through the years: picking tomatoes, cantaloupes, strawberries, apples, cherries, and pears. He also worked for a number of years at BYU as a janitor. He worked in a cannery, at Bryce Canyon National Park as a dish washer, as a lumberjack in West Yellowstone, Montana, and as a window display artist in Provo and Ogden. After marriage, Joel worked for many years as an insurance investigator in Los Angeles and Oakland in California. 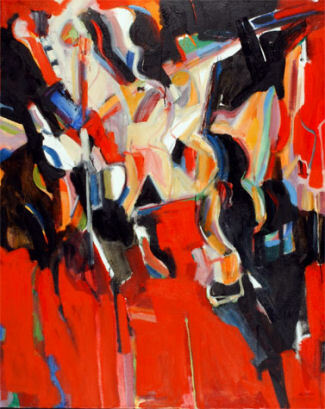 In 1957 he received a Masters Degree in Painting from the University of California at Berkeley, and also attended the Los Angeles County Art Institute for a summer. Since 1957, Joel has been employed as a professor in seven different universities, including Ohio State, University of Victoria and Simon Fraser University in Canada, University of Idaho, University of California - Berkeley, and the University of Texas. Joel Smith has taught oil painting, design, drawing, figure drawing, watercolor, and general art history survey courses. In 1994 Joel retired from Western Illinois University and has been engaged solely as an artist since that time. He works in oil and watercolors. 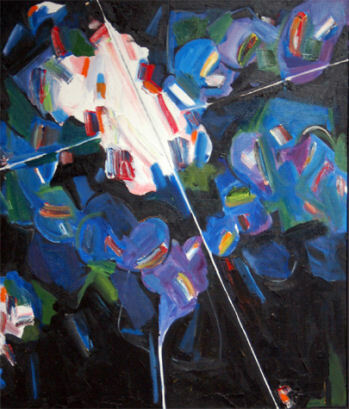 His subjects include both landscapes and abstract art. His work is exhibited in international museums including the Museum of Modern Art, the Tate Museum in London, the contemporary Museum in Tokyo and many others. 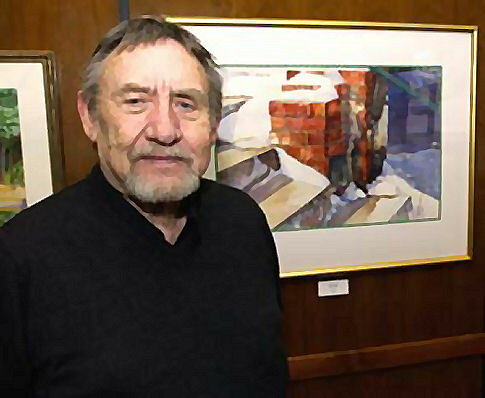 He has an active exhibition schedule with entries in a number of national juried watercolor exhibits, and international invitational exhibits. He has received a number of awards and enjoys doing one-man shows. He has taught several drawing classes at the BYU-Nauvoo summer semester in recent years. In 2006, Joel and his wife bought a home in Socorro, New Mexico. His wife moved there a few months later. Joel reports he has been "camping out" in his art studio for the past 8 months, taking care of a heavy schedule of one-man art exhibits. He put on a one-man show at a gallery in Davenport, Iowa, last month, a one-man show at Western Illinois University beginning September 2007, and a third show a month later that will continue until the first of November, 2007. After that he will join his wife in their new home in New Mexico. Joel has recently unveiled a new website featuring an amazing collection of abstract paintings. In the near future he plans another website featuring his realistic art. Paintings copyright Joel Smith. Click on paintings to visit Joel Smith's website for abstracts. �	Washington Museum of Contemporary Art, Washington, D.C.
His name in high school was Joe L. Smith. As an artist, he adopted the name "Joel Smith" by combining his name and middle initial. While at Brigham Young High School he participated on the Track Team and was a member of the Boys Organization. He was a Thespian, and a member of the French Club. He worked on the Wildcat Yearbook staff for several years, and was staff cartoonist for the Y'ld Cat student newspaper. He served as the Senior Class Social Chairman in 1946-1947. He graduated in the Class of 1947. He received a BS in Art from BYU in 1955. He earned a Master of Arts Degree from the University of California - Berkeley in 1957. In June of 2003 he earned a second Master of Arts degree at Western Illinois University in Macomb, Illinois. He has become a highly acclaimed realistic and abstract artist, and his art is displayed around the world.